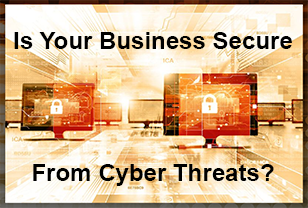 No one is immune from cyber security threats in today’s fluid business environment. To protect important data and processes, organizations are forced to constantly adapt to new technology, tools and processes. The cost of leaving data unsecured and susceptible to a multitude of threats is literally priceless and could destroy a business of any size. At Loffler, we're a cyber security company that specializes in taking care of IT, so you can focus on being successful. Securing your organization’s assets and information from external threats can be a balancing act for a firewall. Configured incorrectly, beneficial traffic may be blocked while harmful traffic is allowed to infiltrate your network. Loffler’s IT security experts assess, design, and implement a proper next-generation firewall environment, while allowing for the evolution of growth and changing workflow and processes. Loffler’s experts design the best solution to manage, monitor, and respond to cyber threats utilizing a multi-layered security approach. A robust security strategy includes scanning all inbound and outbound e-mail, HTTP & FTP traffic by blocking suspect data before it enters or leaves your environment. With Spyware, Ransomware, and bot attacks on the rise, keeping up with current threats and ensuring network and equipment protection is a challenge. Our IT security experts do it all for you. As the world reels from increasing data breaches, the challenge to protect your data from internal and external attacks is ever-changing and can be overwhelming. Our IT security experts design a solution customized to your organization’s needs to prevent potential data breaches by monitoring, detecting, and blocking sensitive data while in-use, in-motion and at-rest. A Cybersecurity Score identifies critical vulnerabilities, control gaps/deficiencies, and applicable threats to the security of your organization. The FISASCORE® assessment process can determine the level of security risk for the administrative, physical and technical controls protecting the confidentiality, integrity and availability of information in your organization. Protection and Recovery is just the start of a comprehensive cyber security plan. To effectively secure your organization from cyberattacks, companies need access to a managed security operations center (SOC) and managed detection and response (MDR) services- in a cost effective manner. Facial recognition cameras capture a face and turn it into a mathematical representation of the image, which is then measured and matched unique identification and authentication characteristics. Maybe you want to watch for your best clients, or in contrast, the troublemakers – those who you don’t want at your place of business or event. Perhaps your organization needs to cut down on the time and expense of investigations after an incident occurs? Facial recognition can also provide the option for check-ins without showing an ID on each visit, making it ideal for a variety of uses.